Commercial Shop premises located on Limassol's busiest main central road.Located in the heart of Limasol close to Cafe Paris, this shop offers 50sqm on the ground floor and a further 40sqm mezzanine.With a spacious front terrace, a/c, parking. Partitioned Office space for rent located in the heart of Limassol on a busy main arterial road close to Cafe Paris.This 220sqm whole floor property located on the 4th floor has 8 separate rooms,2 wc, kitchen, 2 covered verandas, server ,central a/c, raised floor cabling, private underground parking. 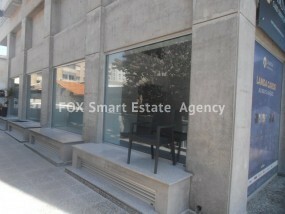 Fox are delighted to offer this fantastic and modern 127m office on Limassol's premier business road...Kolonakiou Ave.The office is modern and bright and has a large south facing veranda for staff.The office is on its own floor with its own entrance allowing for total privacy and security.Terms are 3 months deposit with 3 months rent in advance. Bungalow with 3 bedrooms is available now to rent in Pano Polemidia.It is spacious, nicely renovated, and close to New Hospital, Supermarkets,school, highway, and with easy access to Heritage Private School.Has 200m2 indoor area and a big veranda in front, also parking for 2 cars. 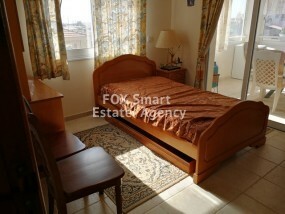 Behind there is a 2 bedroom apartment attached with separate entrance, which is rented separately by the owner.